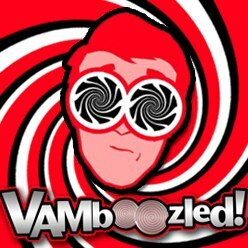 February | 2016 | VAMboozled! This week, this case is being appealed, back in Los Angeles (see a recent Education Week article on the appeal here; see also the Students Matter website for daily appeal updates here). This, accordingly, is a very important case to watch, especially as many agree that this case will eventually end up in no lesser than the state’s Supreme Court. On this note, though, I came across a great article, also in Education Week, this morning, capturing as per the article’s title, the “Five Reasons Vergara Is Still Unwinnable.” I already tweeted this one out, but for those of you not following us on Twitter, I didn’t want you to miss this one. The author — Charles Taylor Kerchner, Research Professor at Claremont Graduate University — puts the key pieces of the case in context as well as under a fair and appropriate light, more specifically explaining why “this is a case that the plaintiffs can’t win and the defendants will lose regardless of the outcome.” This, in other words and as per his opinion, is a case that will ultimately yield no winners. Do read Kerchner’s full Education Week piece here, and share out as you see fit. I’ve also copied/pasted the text below (e.g., for those of you who follow via email). As the trial court arguments concluded in the spring of 2014, one of the first ‘On California’ posts argued that, “from our perspective this is a case that the plaintiffs can’t win and the defendants will lose regardless of the outcome.” It still is. Oral arguments on its appeal began last week, a decision is due in 90 days, and an appeal to the state Supreme Court is considered a near certainty. Just in case you haven’t been listening to the well-oiled noise machine surrounding the case, EdWeek’s Stephen Sawchuk provides a backgrounder. First of all, the plaintiffs can’t win this case because they don’t understand—or willfully ignore—the realities of the teacher labor market. The underlying problem in the supply and demand for teachers is not that young very good teachers were being fired while old sluggish ones held on to their jobs. As the recent data on teacher shortages shows, the problem is attracting good people to teaching in the first place and holding onto them. Most young teachers who teach in challenging schools leave because the work is too hard, not because they were laid off. If the plaintiffs really want to increase the quality of the teacher work force, then they should put their money behind efforts to forgive student loans or provide residency programs for novice teachers so that they are not dissuaded by the shock of stepping into a classroom without a solid grounding in the practicalities of teaching. Second, accepting Vergara equates to accepting value added testing as a valid means of assessing teacher performance. Value added testing began as an attempt to substitute achievement gains for the more socially biased “league table” ranking of schools. Its early advocates used the technique to demonstrate the influence that a good teacher has on a student’s long-term academic progress and economic life chances. The economists that argued for the Vergara plaintiffs made much of this reasoning. Unfortunately, , value added systems are usually terrible when they are put in place. The “value” in value-added are nearly always scores on state standardized tests. Some of these tests are not very good indicators. For example, nearly all the state tests used by Vergara plaintiffs have been replaced by measures more aligned with the Common Core of state standards. Most of the tests are only given in a few grades in a few subjects. Teachers in other grades and subjects get a composite score based on how well the whole school or an entire grade performed, a score that has little to do with that teacher’s value added. Third, the case accepts the constitutional principle of “disparate impact.” This evidentiary argument has its origins in housing discrimination cases where it has been held that a law or practice, such as a bank’s lending policy, need not be discriminatory on its face if its impact was unfairly felt. If one accepts that people of color are generally discriminated against, and that poor people of color are absolutely discriminated against, then any rule or regulation within the education system is vulnerable to a disparate impact challenge. Any form of teacher tenure? Licenses to teach? A pension system that encourages older teachers to stay instead of making way for young, enthusiastic ones? School district boundaries? Civil service protections? Because all these exist in an inherently discriminatory environment, they would all be vulnerable if Vergara were upheld. Fourth, Vergara points rich people toward simplistic solutions. Venture philanthropy is built around the assumption that people with wealth can use their money to disrupt institutions rather than support existing ones. Students Matter, which is bankrolling the Vergara lawsuit, is a good example. It tinkers with three relatively inconsequential aspects of teacher quality while ignoring the much more fundamental changes in teaching and learning that need to take place in order to create a 21st Century education system. At least as a thought experiment, people with money ought to be required to specify where they are headed. If public monopoly, which every high performing school system in the world uses to deliver education, is bad, then specify the alternative. Hiding behind empty phrases such as “grossly incompetent teachers,” derived from a statistical analysis of state test scores, is no substitute for the hard intellectual work of designing a novel education system. I’m with the so-called reformers in the belief that the education system put in place more than a century ago needs transformation, but certainly those who want to change it should be required to come up with something better than increasing the amount of time it takes to get tenure by 12 months. Fifth, Vergara has created yet another instance in which the California Teachers Association and the California Federation of Teachers can inflict damage on themselves. I hope they prevail in this appeal. They should. But in winning, they lose. They will continue to be a target of opportunity by Republicans and an object of scorn among school reformers. They have utterly failed to seize the opportunity for policy leadership presented by the lawsuit and the unprecedented but transitory political support they currently enjoy in Sacramento. Rather than build on strength, a siege mentality has overtaken union leaders, as in “they’re all around us.” If that’s the case, you’d think that the unions would quit supplying their opponents with ammunition. I hope the appellate justices overturn Vergara, but regardless, the case will yield no winners. Recall the Chetty, Friedman, and Rockoff studies at focus of many posts on this blog in the past (see for example here, here, and here)? These studies were cited in President Obama’s 2012 State of the Union address. Since, they have been cited by every VAM proponent as the key set of studies to which others should defer, especially when advancing, or defending in court, the large- and small-scale educational policies bent on VAM-based accountability for educational reform. In a newly released working, not-yet-peer-reviewed, National Bureau of Economic Research (NBER) paper, Chetty, Friedman, and Rockoff attempt to assess how “Using Lagged Outcomes to Evaluate Bias in Value-Added Models [VAMs]” might better address the amount of bias in VAM-based estimates due to the non-random assignment of students to teachers (a.k.a. sorting). Accordingly, Chetty et al. argue that the famous “Rothstein” falsification test (a.k.a. the Jesse Rothstein — Associate Professor of Economics at University of California – Berkeley — falsification test) that is oft-referenced/used to test for the presence of bias in VAM-based estimates might not be the most effective approach. This is the second time this set of researchers have argued with Rothstein about the merits of his falsification test (see prior posts about these debates here and here). In short, at question is the extent to which teacher-level VAM-based estimates might be influenced by the groups of students a teacher is assigned to teach. If biased, the value-added estimates are said to be biased or markedly different from the actual parameter of interest the VAM is supposed to estimate, ideally, in an unbiased way. If bias is found, the VAM-based estimates should not be used in personnel evaluations, especially those associated with high-stakes consequences (e.g., merit pay, teacher termination). Hence, in order to test for the presence of the bias, Rothstein demonstrated that he could predict past outcomes of students with current teacher value-added estimates, which is impossible (i.e., the prediction of past outcomes). One would expect that past outcomes should not be related to current teacher effectiveness, so if the Rothstein falsification test proves otherwise, it indicates the presence of bias. Rothstein also demonstrated that this was (is still) the case with all conventional VAMs. In their new study, however, Chetty et al. demonstrate that there might be another explanation regarding why Rothstein’s falsification test would reveal bias, even if there might not be bias in VAM estimates, and this bias is not caused by student sorting. Rather, the bias might result from different reasons, given the presence of what they term as dynamic sorting (i.e., there are common trends across grades and years, known as correlated shocks). Likewise, they argue, small sample sizes for a teacher, which are normally calculated as the number of students in a teacher’s class or on a teacher’s roster, also cause such bias. However, this problem cannot be solved even with the large scale data since the number of students per teacher remains the same, independent of the total number of students in any data set. 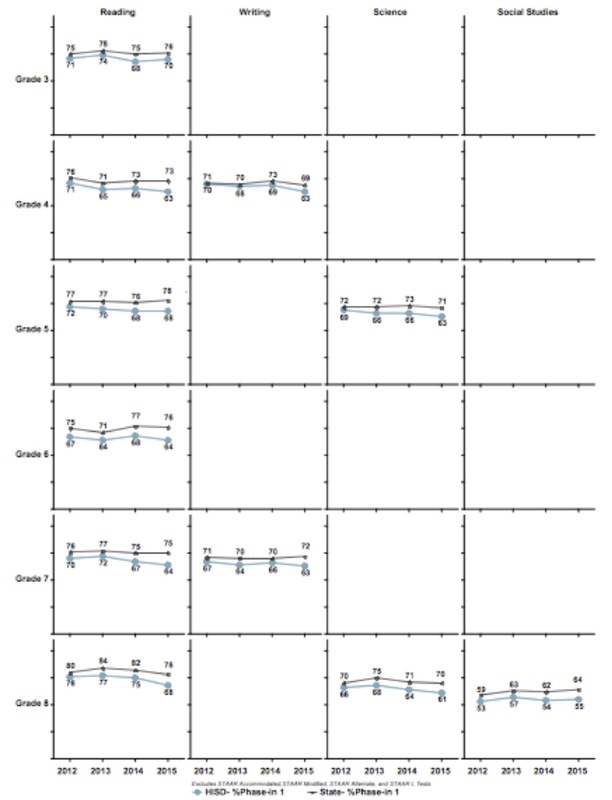 Chetty et al., then, using simulated data (i.e., generated with predetermined characteristics of teachers and students), demonstrate that even in the absence of bias, when dynamic sorting is not accounted for in a VAM, teacher-level VAM estimates will be correlated with lagged student outcomes that will still “reveal” said bias. However, they argue that the correlations observed will be due to noise rather than, again, the non-random sorting of students as claimed by Rothstein. So, the bottom line is that bias exists, it just depends on whose side one might fall to claim from where it came. Accordingly, Chetty et al. offer two potential solutions: (1) “We” develop VAMs that might account for dynamic sorting and be, thus, more robust to misspecification, or (2) “We” use experimental or quasi-experimental data to estimate the magnitude of such bias. This all, of course, assumes we should continue with our use of VAMs for said purposes, but given the academic histories of these authors, this is of no surprise. Chetty et al. 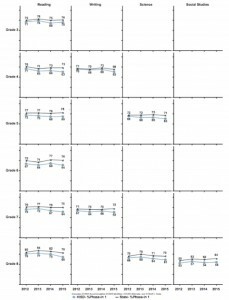 ultimately conclude that more research is needed on this matter, and that researchers should focus future studies on quantifying the bias that appears within and across any VAM, thus providing a potential threshold for an acceptable magnitude of bias, versus trying to prove its existence or lack thereof. For background, the purpose of The Coleman Report was to assess the equal educational opportunities provided to children of different race, color, religion, and national origin. The main finding was that what we know today as students of color (although African American students were of primary focus in this study), who are (still) often denied equal educational opportunities due to a variety of factors, are largely and unequally segregated across America’s public schools, especially as segregated from their white and wealthier peers. These disparities were most notable via achievement measures, and what we know today as “the achievement gap.” Accordingly, Coleman et al. argued that equal opportunities for students in said schools mattered (and continue to matter) much more for these traditionally marginalized and segregated students than for those who were/are whiter and more economically fortunate. In addition, Coleman argued that out-of-school influences also mattered much more than in-school influences on said achievement. On this point, though, The Coleman Report was of great controversy, and (mis)interpreted as (still) supporting arguments that students’ teachers and schools do/don’t matter as much as students’ families and backgrounds do. Hence, the Education Next article of focus in this post takes this up, 50 years later, and post the advent of value-added models (VAMs) as better measures than those to which Coleman and his colleagues had access. The article is authored by Dan Goldhaber — a Professor at the University of Washington Bothell, Director of the National Center for Analysis of Longitudinal Data in Education Research (CALDER), and a Vice-President at the American Institutes of Research (AIR). AIR is one of our largest VAM consulting/contract firms, and Goldabher is, accordingly, perhaps one of the field’s most vocal proponents of VAMs and their capacities to both measure and increase teachers’ noteworthy effects (see, for example here); hence, it makes sense he writes about said teacher effects in this article, and in this particular journal (see, for example, Education Next’s Editorial and Editorial Advisory Board members here). Here is his key claim. Note that Goldhaber does not offer in this article much evidence, other than evidence not cited or provided by some of his econometric friends (e.g., Raj Chetty). Likewise, Goldhaber cites none of the literature coming from educational statistics, even though recent estimates  suggest that approximately 83% of articles written since 1893 (the year in which the first article about VAMs was ever published, in the Journal of Political Economy) on this topic have been published in educational journals, and 14% have been published in economics journals (3% have been published in education finance journals). Hence, what we are clearly observing as per the literature on this topic are severe slants in perspective, especially when articles such as these are written by econometricians, versus educational researchers and statisticians, who often marginalize the research of their education, discipline-based colleagues. Likewise, Goldhaber does not cite or situate any of his claims within the recent report released by the American Statistical Association (ASA), in which it is written that “teachers account for about 1% to 14% of the variability in test scores.” While teacher effects do matter, they do not matter nearly as much as many, including many/most VAM proponents including Goldhaber, would like us to naively accept and believe. The truth of the matter is is that teachers do indeed matter, in many ways including their impacts on students’ affects, motivations, desires, aspirations, senses of efficacy, and the like, all of which are not estimated on the large-scale standardized tests that continue to matter and that are always the key dependent variables across these and all VAM-based studies today. As Coleman argued 50 years ago, as recently verified by the ASA, students’ out-of-school and out-of-classroom environments matter more, as per these dependent variables or measures. I think I’ll take ASA’s “word” on this, also as per Coleman’s research 50 years prior. You Are Invited to Participate in the #HowMuchTesting Debate! As the scholarly debate about the extent and purpose of educational testing rages on, the American Educational Research Association (AERA) wants to hear from you. During a key session at its Centennial Conference this spring in Washington DC, titled How Much Testing and for What Purpose? Public Scholarship in the Debate about Educational Assessment and Accountability, prominent educational researchers will respond to questions and concerns raised by YOU, parents, students, teachers, community members, and public at large. Hence, any and all of you with an interest in testing, value-added modeling, educational assessment, educational accountability policies, and the like are invited to post your questions, concerns, and comments using the hashtag #HowMuchTesting on Twitter, Facebook, Instagram, Google+, or the social media platform of your choice, as these are the posts to which AERA’s panelists will respond. Organizers are interested in all #HowMuchTesting posts, but they are particularly interested in video-recorded questions and comments of 30 – 45 seconds in duration so that you can ask your own questions, rather than having it read by a moderator. In addition, in order to provide ample time for the panel of experts to prepare for the discussion, comments and questions posted by March 17 have the best chances for inclusion in the debate. Thank you all in advance for your contributions!! To read more about this session, from the session’s organizer, click here. Recall the New York lawsuit pertaining to Long Island teacher Sheri Lederman? The teacher who by all accounts other than her recent (2013-2014) 1 out of 20 growth score is a terrific 4th grade, 18 year veteran teacher. She, along with her attorney and husband Bruce Lederman, are suing the state of New York to challenge the state’s growth-based teacher evaluation system. See prior posts about Sheri’s case here, here and here. I, along with Linda Darling-Hammond (Stanford), Aaron Pallas (Columbia University Teachers College), Carol Burris (Executive Director of the Network for Public Education Foundation), Brad Lindell (Long Island Research Consultant), Sean Corcoran (New York University) and Jesse Rothstein (University of California – Berkeley) are serving as part of Sheri’s team. Bruce Lederman just emailed me with an update, and some links re: this update (below), and he gave me permission to share all of this with you. The judge hearing this case recently asked the lawyers on both sides of Sheri’s case to brief the court by the end of this month (February 29, 2016) on a new issue, positioned and pushed back into the court by the New York State Education Department (NYSED). The issue to be heard pertains to the state’s new “moratorium” or “emergency regulations” related to the state’s high-stakes use of its growth scores, all of which is likely related to the political reaction to the opt-out movement throughout the state of New York, the publicity pertaining to the Lederman lawsuit in and of itself, and the federal government’s adoption of the recent Every Student Succeeds Act (ESSA) given its specific provision that now permits states to decide whether (and if so how) to use teachers’ students’ test scores to hold teachers accountable for their levels of growth (in New York) or value-added. While the federal government did not abolish such practices via its ESSA, the federal government did hand back to the states all power and authority over this matter. Accordingly, this does not mean growth models/VAMs are going to simply disappear, as states do still have the power and authority to move forward with their prior and/or their new teacher evaluation systems, based in small or large part, on growth models/VAMs. As also quite evident since President Obama’s signing of the ESSA, some states are continuing to move forward in this regard, and regardless of the ESSA, in some cases at even higher speeds than before, in support of what some state policymakers still apparently believe (despite the research) are the accountability measures that will still help them to (symbolically) support educational reform in their states. See, for example, prior posts about the state of Alabama, here, New Mexico, here, and Texas, here, which is still moving forward with its plans introduced pre-ESSA. See prior posts about New York here, here, and here, the state in which also just one year ago Governor Cuomo was promoting increased use of New York’s growth model and publicly proclaiming that it was “baloney” that more teachers were not being found “ineffective,” after which Cuomo pushed through the New York budget process amendments to the law increasing the weight of teachers’ growth scores to an approximate 50% weight in many cases. Hence, Sheri and Bruce believe that because they have already “convincingly” shown that the state’s growth model does not “rationally” work for teacher evaluation purposes, and that teacher evaluations as based on the state’s growth model actually violate state law since teachers like Sheri are not capable of getting perfect scores (which is “irrational”), they will continue with this case, also on behalf of New York teachers and principals who are “demoralized” by the system, as well as New York taxpayers who are paying (millions “if not tens of millions of dollars” for the system’s (highly) unreliable and inaccurate results. To read more about this case via a Politico New York article click here (registration required). To hear more from Bruce Lederman about this case via WCNY-TV, Syracuse, click here. The pertinent section of this interview starts at 22:00 minutes and ends at 36:21. It’s well worth listening!